This year is off with a bang…and it’s only January 30th. 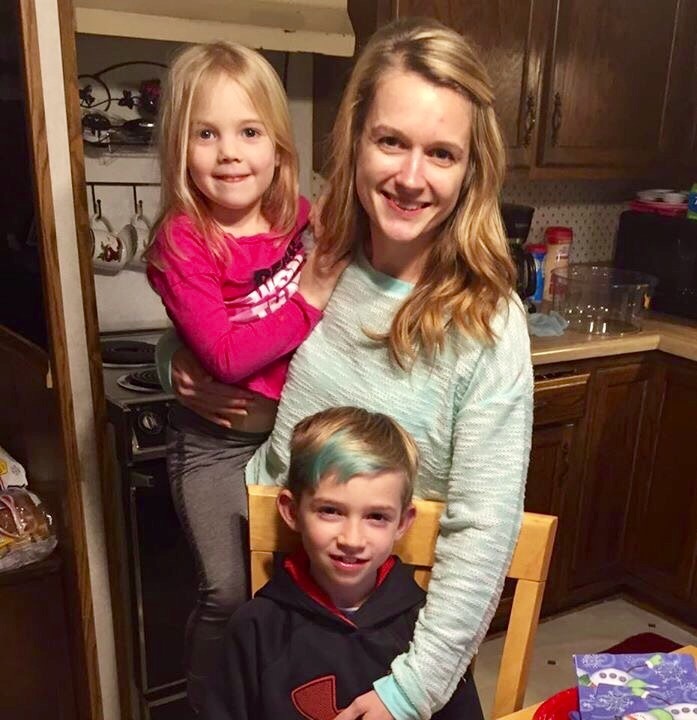 As per our usual, this year we’ve seen more than our fair share of medical professionals; we have been enduring a cancer scare with my 4-year old daughter, Jera; I’ve been working through a challenging MBA course…and all of this has culminated into the ridiculous body of tension that I have become. This day, Monday, January 30th, was especially overwhelming for me. I had a quiz due that I have been killing myself studying for…and while that weighed on me heavily, there was more to my stress level today than school. I have been a total stress case. 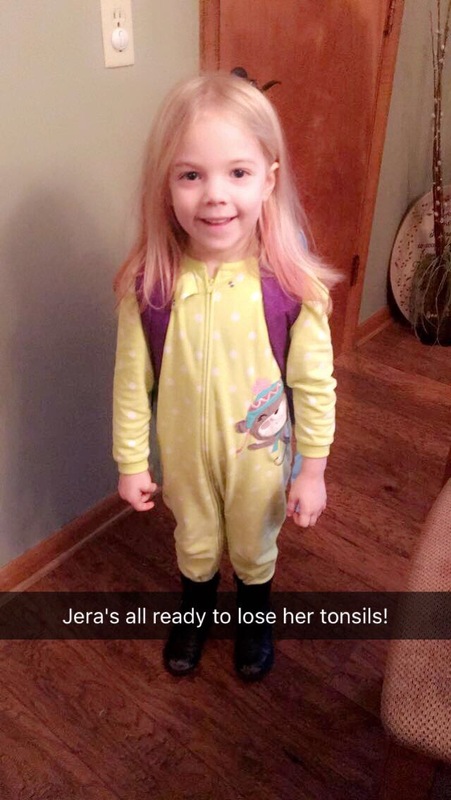 Caring for Jera following her tonsillectomy last week, trying to keep her comfortable and happy, working to master my MBA course, Corporate Finance…it has all been…hard. I’m not normally a crier, at least not without good reason (I mean, aside from when I watch Marley and Me…but really if you don’t cry during that movie, you’re just stone cold). In the past two weeks, I’ve found myself in tears more often than I care to admit…trying to sort out my thoughts and feelings…trying to manage myself by myself. Until I just can’t anymore. My poor family…my mom has received a crying call, my husband has been tearfully dialed, my best friend has gotten sad text messages. While I’ve worked hard to hold it together, the stress and worry have taken a toll on me and my soul is drained. The surgeon told me I could call his office in a week to check on Jera’s biopsy results. Today, five days following the surgery, I couldn’t wait anymore. I dialed the office mid-morning and left a message with the nurse, hoping that Jera’s biopsy results would be in. When lunch came and went and I didn’t receive a returned call, I figured the results hadn’t arrived and I would have to wait. I went online and took another dreaded Corporate Finance quiz (what kind of quiz takes 90 minutes FOR SIX QUESTIONS?!!!) I was relieved to score better than I had expected. But still, in my heart was a heaviness. I decided to take Jera for ice cream and we pigged out. There’s nothing like soft serve to soothe the soul. Then, as I was making dinner, my phone rang. It was the ENT’s nurse. She was calling to tell me that Jera’s biopsy results are in and the biopsy was NORMAL. That’s right folks, Jera is CANCER-FREE!!! 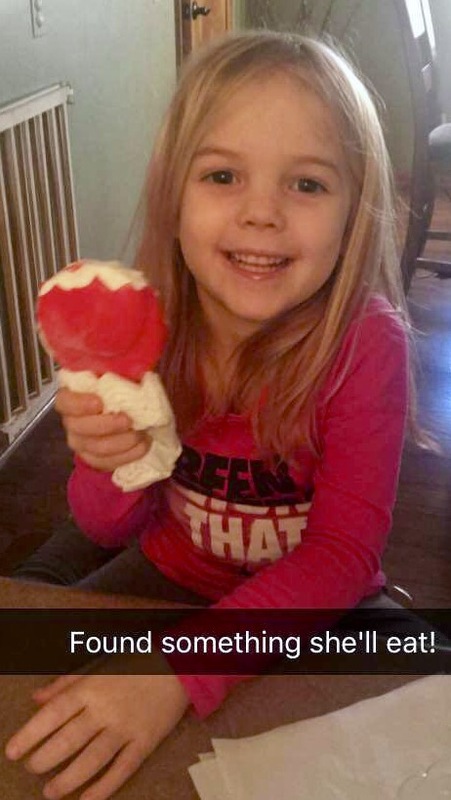 She’s just my little fruitcake of a daughter with a former set of goofy (AKA asymmetric) tonsils. I thanked the nurse for calling and hung up the phone. I can’t describe to you the feelings that moved through my mind, body and soul in that moment. Relief, joy, gratitude, exhilaration…there aren’t enough adjectives on this Earth to describe the happiness that call delivered. There are people whose calls are different than the one I received. There are people who aren’t relieved of their worrisome burden with a phone call delivering normal biopsy results. People I love have received devastating news instead. I’ve watched those I love wither away with cancer and pass on in the most painful, devastating way. I’ve also watched others I love fight bravely, becoming the very essence of strength and beauty and beating the fearsome beast. Today, I am so thankful. I am so thankful that my sweet daughter doesn’t have to face that fight. So thankful that she will continue to be her bright, funny, reserved, goofy, girly, wonderfully-made self. There are no words to repay the prayers that have gone up for us. There are so many who don’t believe in the power of prayer. I do. While prayer may not always change test results, it certainly can lift you up and carry you through difficult times. Prayer lets us know we are not alone. Prayer is love. You cannot pray for someone without loving them. In praying for your neighbor, you strengthen not only your neighbor, but you grow love in your own heart as well. And even more importantly, in praying for yourself, you invite God in and allow Him to help. I have been stressed. I have cried. I have been short and snapped and laid awake wondering. But through prayer and the support, prayers and love of our friends and family, we have made it through this trial and we are ready to move on to brighter days. The start of this year has been difficult, but after the good news we received today, it has also been awesome. God is good. I’ll end this blog with the lyrics of a song I heard for the first time yesterday by Brad Randall. I had never heard of him or his music…I was listening to a “popular” music station, not a Christian station…but this song came across my speakers at the exact moment I needed it and I know it was a God-thing.